When Your Ex Is Threatening Violence | Sandra Bonfiglio, P.A. A New York resident was recently arrested in Sarasota for attempting to purchase a firearm. The man was charged with a number of felony counts, including aggravated harassment for violating an order of protection. People can be unpredictable, and stressful events such as divorce can bring out a violent side in almost anyone. Generally speaking, if someone threatens an act of violence, even if they have no history of violent behavior, that threat should be taken seriously. If your ex or soon-to-be ex issues a threat of violence, assume the threat is not an empty one. Stalking and harassment are criminal acts. If your ex is threatening you with physical harm, threatening your children, invading your privacy or sending messages to frighten you, the perpetrator can be charged with stalking or harassment — regardless of your relationship or marital status at the time. Threats of violence or acts that are intended to instill fear can quickly escalate to real violence. If you feel afraid for your or your children’s safety, do not hesitate to act. Whether your ex is threatening you in person or by electronic means, if you feel threatened, you can ask a judge to issue an order of protection — also called a restraining order. This is an injunction requiring the person who is threatening you to stay a certain distance away from you or your property and to refrain from contacting you in any way. An injunction can be issued on a temporary basis or a permanent one, depending on the circumstances. Your attorney can assist you in filing for an injunction at the county circuit court. In certain cases of severe threat of harm, it might be appropriate to seek crisis intervention for your family’s safety. Because no order of protection can completely prevent an act of violence, your attorney might suggest that you relocate to a safe house or shelter for a specified period of time. Living with a violent partner and leaving a violent partner are both complex issues, and you might consider seeking the support of a counseling agency or private therapist to acquire vital management tools. Sandra Bonfiglio, P.A. 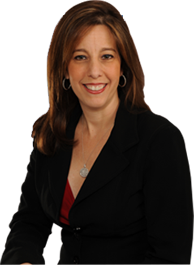 is a family law attorney who can help you navigate your divorce, even if it turns violent. Our Fort Lauderdale offices serve Broward and Palm Beach Counties and the Boca Raton area.